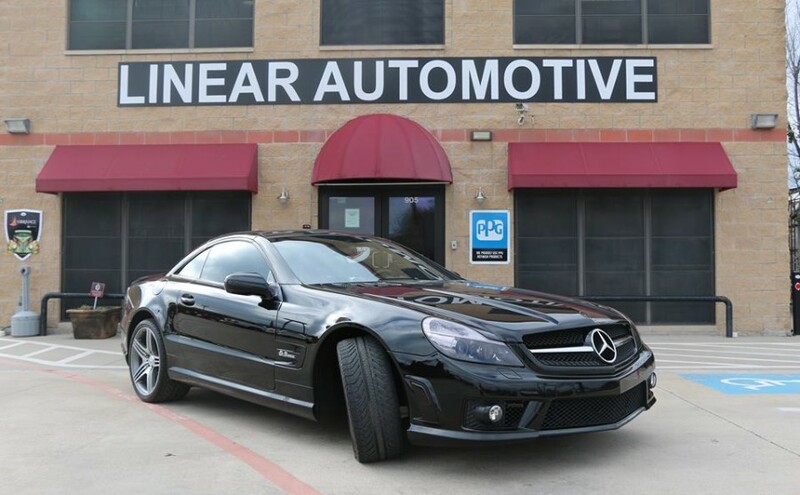 Certified best Mercedes service & auto repair center with expert mechanics including a full service body shop offer affordable auto repair in Plano, Texas. Ask about Mercedes factory scheduled maintenance, brake service, air conditioning, oil changes, air bags, bumper repair, clutches, computer diagnostics, engine problems and troubleshooting, collision repair, paintless dent repair for hail damage, frame straightening, front end service, fuel injector cleaning, fuel system and pumps, windshield and glass replacement, master cylinder, power steering, radiator, shocks, struts, steering system, starter, battery, tail light, headlight, timing belt, tune-up, water pump, wheel repair, power windows, actuators, drive train, and much more. Call us at 972-633-2201 for the best BMW service in Plano, Richardson and Dallas, Texas. These guys were great. They worked on my BMW 650i. Sully was very detailed In his quote and explanations. The office staff was courteous and helpful and the car looks great. Already telling my friends about them! Guys are great. Bought a used BMW and they straightened some previous bad repair work. Their price was a couple hundred lower than BMW dealership, but they did extra things beyond the scope of the estimate. Stick with the mom and pop shops! My experience with linear automotive has been great, Sully is straight forward and looks out for his clients. Although I don't want to be in a situation where I have to bring my car to a repair shop I wouldn't hesitate to bring it back here based off the excellent customer service and work they do. This was an easy 5 stars in my book, and I can be... "picky" when it comes to my vehicles. They even detailed it, inside and out. (Much Appreciated) Overall... great staff, great work, easy to find location, clean and respectable facility. Keep it up! "Are you sure this place is honest?" "... Honest as the day is long!". This quote from the movie "Casablanca" describes the folks at "Linear Automotive" to a tee. I always take any used vehicle I'm interested in to them for a pre-purchase inspection. The owner, Joel Ozbun, has saved me from a fate worse than death on multiple occasions ... buying a lemon!!! As a result, Joel gets my business to maintain my1998 Infinity I30, 2001 BMW 330xi, and 2001 Miata MX-5. I can honestly tell you that they do quality work and they stand behind their repairs. If it's not done right the 1st time (rarely is that the case) ... then they make it right. Joel talks to you in terms you can understand. He's a straight shooter and won't lead you a stray, so go see him today! These guys are the best shop in Dallas. I've known Joel, the owner, for a few years now, and he's a class act. His shop manager, Sully, is equally impressive. I was recently in an accident that caused quite a bit of damage to my new car. These guys did a great job of fixing it, managing the insurance process and keeping me up to date on their progress. I've been a customer for a few years, but prior to this experience, only on small issues: pre-purchase inspections, minor paint touch-ups and small mechanical issues. This most recent job was a big one, and I'm thrilled with their work. Thanks guys. You're the only shop I'm recommending to my friends and family. Integrity and expertise. These words come to mind when I think of Linear Automotive. The two men who run this company, Joel and Sully, were in my corner when I brought my little 1998 Corolla in for repair from a car accident. I didn't have to worry about a thing. Sully worked with the insurance company to protect my interest. Joel followed through to make sure I get my car back timely even though it was Thanksgiving Eve. It touched my heart when I had dropped by to see my humble Corolla receiving TLC from a top notch automotive shop along with the Mercedes, BMW and classic mustangs. These guys have the expertise to work on high end cars and they are working on my sweet little Corolla! If you love your car and/or you want a trustworthy mechanic, bring it to Sully and Joel. They will exceed your expectations. They love what they do and they have good old fashion values that you can depend on to take care of you proper. I had to have some minor repair work done on my car that wasn't covered by insurance. I'm not sure who helped me. The other reviewers mention Joe and Sully so I guess one of them. Anyway he was super friendly, laid-back and very helpful. My dent was repaired much cheaper than I expected and less expensive than some other quotes. I also asked if they could hit a few paint chips in other areas of my car with a little paint to hide blemishes. They said sure, and did it for free! The shop is a couple of blocks from old downtown Plano so if you have to wait, you can just walk down and drink some coffee or get some food. I had a small fender bender and took my car a Lexus GX470 to Linear Automotive. It's the kind of car you want the best in the business to work on it. And they did a fantastic job! Joel Ozbun the owner helped me personally and that is the kind of attention and service everybody with a great car wants. I highly recommend Linear Automotive. I took my Nissan to Linear Automotive to have repairs done to my Pathfinder. These guys are truly outstanding! 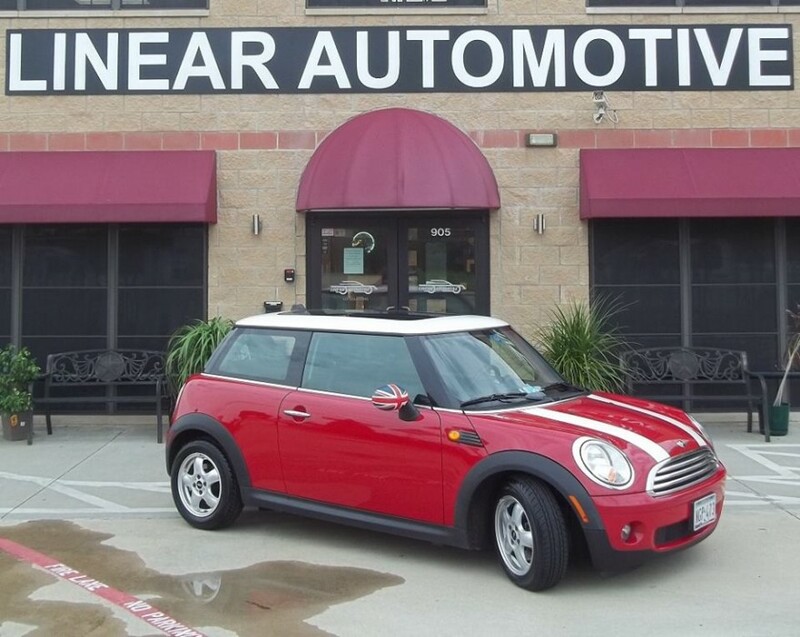 They are an automotive center with integrity and honesty, and all repairs were done in a timely manner. Even when I thought every little thing was wrong with my vehicle, they assured me everything was okay, instead of nickel and diming me for repairs. If you are looking for a one stop shop for all of your vehicle's needs (body work, repairs, etc..) this is the place to go. I will definitely recommend them to my friends and family. I recently got side swiped by lady while I was in my 350z. 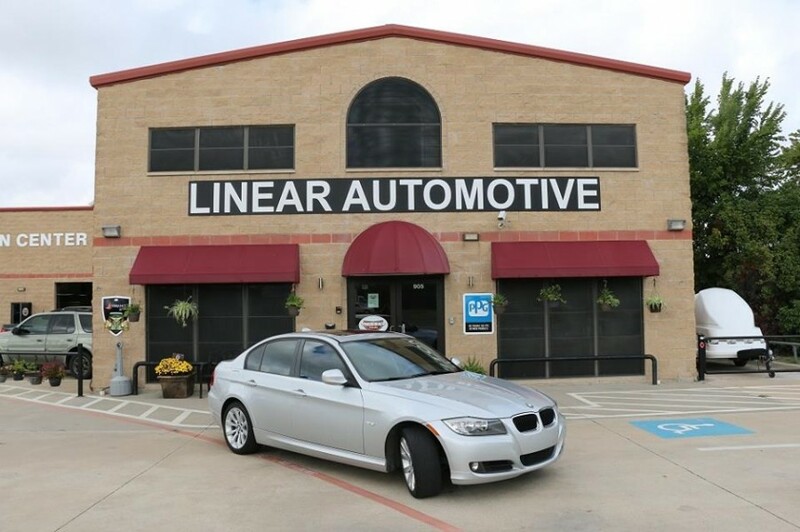 I took my car to Linear Automotive. My front left fender was all banged up. When they took it in and looked at it they found more damages that the appraiser couldn't see. Their customer service was excellent. When I got the car back. It looked better than when we bought it used from the dealership. They re-smoked my headlight and also did my other headlight to match. Excellent job. I would definitely bring my car back here. These guys are AMAZING!!! talking about going above and beyond!!! I'm a car snob and own a Mercedes, my work truck, and a couple of classic cars. I've had Linear do work twice on my Mercedes, they painted the roof to my work truck in a rock guard type paint that's tough as nails and looks better than a factory paint job. After doing my Mercedes and truck I had them do some work on my babies. They did some repair work on my 68 Camaro RS convertible that is nothing short of AMAZING!!! You not only can't tell where they worked on the car, but the color is PERFECT and this is a VERY DIFFICULT color to match. They're surprisingly reasonable in pricing, their work is high end body shop quality but their pricing is 1/2 what the high end shops charge. Their mgr is a PERFECTIONIST (Joel), and NOTHING leaves the shop without his approval. On top of that they're FAST and reliable. I won't take any of my paint and body work anywhere again. These guys bend over backwards to make sure you have a good experience and they've done nothing short of perfection on anything I've given them. They work with your insurance and surprisingly even got me $$$ for loss of value on my Mercedes after being rear ended. Mercedes sure didn't do that, I've NEVER had a body shop take care of my vehicle, deal with the insurance, and then even go the extra mile to put back the money in my pocket I lost by having a repair reported on my Car Fax. 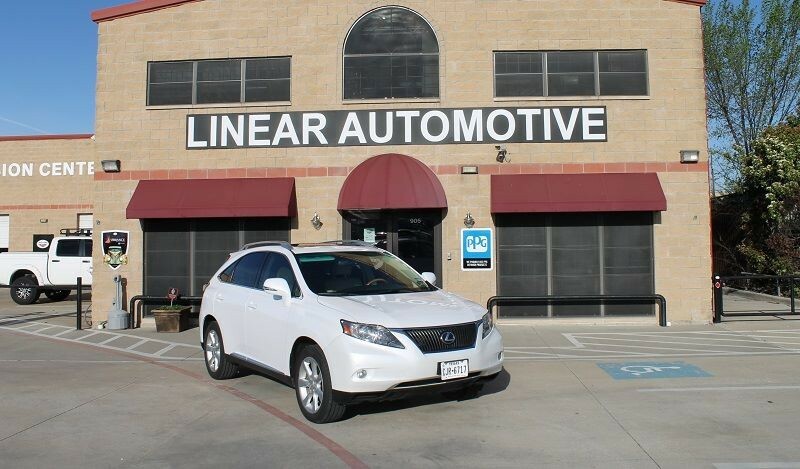 Skip the dealership, if you need paint and body work, go to Linear. I was referred to Linear by a friend and they were everything I was told to expect. Very professional in every aspect of my car repairs needed. From beginning to end they handled everything needed to get me back to normal, Thanks Joel & Sully for making this a pleasant experience. I recently brought my truck in to get a repair quote for damage and they were very helpful and got me taken care of right away. The staff is very friendly and professional! True "American" company, with employees who are genuinely interested in earning your trust, respect, and business. From the receptionist to the owner to the mechanics, each individual I have interacted with over there have exceeded my expectations with their honesty, direct and clear expectations, and billing only for what needs to be done. They are fully transparent about their costs, and if they have to procure parts, will explain to you the costs, time/delivery, estimated time to complete, and will communicate with you clearly, and explain what needs to be done and why. I've gone back repeatedly for my two German vehicles, knowing that I can trust them to do the right thing. Their costs are nominal, and in line with what you would expect any good automotive shop to have, but they will charge you only for what needs to be done, and what you approve. 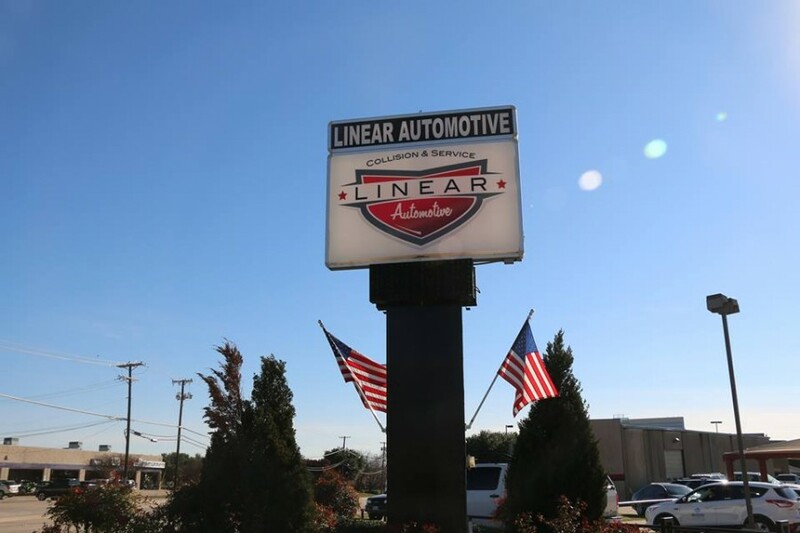 There's no question: Linear Automotive delivers a very refreshing experience, and I highly recommend them. My repair was high quality and completed faster than discussed, the communication was great, the people were honest and trustworthy, and I left feeling very satisfied. Linear is a first class organization. I will be going to them exclusively for all repairs and service from this day forth. I highly recommend you do the same. Just got back my Mercedes R350 to have several dents & scratches repaired and a BIG dent in the back end of my vehicle repaired. I am soo happy with the results! It looks great and we couldn't be happier with the results. It was nice and clean when we picked it up too! Sulley was easy to work with and very informative. I will definitely go back in the future if needed and will recommend to friends. Thanks again Linear Automotive, for making my car look even better than it used to!